Emergencies can happen and they are almost always unexpected. When these emergencies are related to dental issues, fast treatment could limit the severity of the problem. Unfortunately, not everyone knows when to treat a dental problem as an emergency. 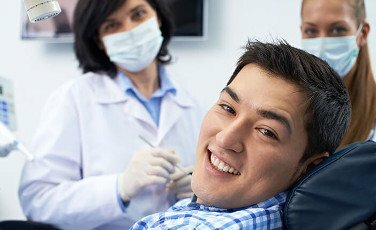 You may delay treatment because you assume that you need to schedule an appointment, this is why our Melbourne Dentists we have reserved appointments each day for dental emergencies. When a dental problem arises, you need to remain calm and assess the situation. Determine whether the issue is an emergency or if it is an issue that can be treated at a later time. Learn more about each of these issues and find out how to deal with these dental emergencies. Tooth pain can be a sign that there is another issue that you’re dealing with. The pain could be caused by a cavity, a fractured tooth, a damaged nerve, or an infection. If the pain keeps you from being able to chew without discomfort, you should visit your dentist as soon as possible. But, if the pain is constant, and does not go away after you’ve finished chewing, then you may have a dental emergency. In either case, fast treatment could prevent further problems. Receiving a filling could prevent additional pain or further decay. The exact treatment will depend on the cause of the pain. If you have severe tooth pain, you should rinse your mouth out. If possible, rinse with salt water. You can create your own salt water by adding half a teaspoon of salt to 1 cup of warm water. Stir the salt into the water until it dissolves. Depending on the severity of the pain, you could try to use floss to remove any food debris. 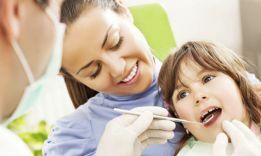 You could also take an over-the-counter medication to reduce some of the pain until you are able to visit your dentist. These steps may help you relieve some of the pain, but you still need to visit your dentist. For debilitating pain, you should use emergency dental services. If the pain is moderate and infrequent, you should schedule a visit as soon as possible and avoid putting unnecessary pressure on the painful area. Broken, chipped, or cracked teeth are incredibly common. When this happens, you need to visit a dentist immediately. You should not delay, as a broken or chipped tooth is vulnerable to the spread of bacteria. Bacteria can cause infections and lead to the spread of gum disease. When you have a broken or chipped tooth, your first step should be to find any pieces of your tooth. Depending on where the fracture occurred, your dentist may be able to repair the tooth, using the broken piece. But, this will depend on the actual crack. You should also avoid any foods or liquids that are too hot or too cold. Extreme temperatures can cause severe pain. This discomfort can be debilitating. If you must eat or drink before you visit the dentist, you should try to avoid chewing on the side of your mouth that has the broken or chipped tooth. As with the previous tips for dealing with tooth pain, you can also take a pain medication to reduce your discomfort. Once you’re able to get in and see your dentist, he or she can access the damage. They can determine if the tooth can be repaired or fixed. Though, in some cases, the tooth may need to be extracted. If a tooth extraction is needed, you may require follow-up appointments for restorative work. The tooth extraction may stop the pain that you’re experiencing, but leave you with a less appealing smile. 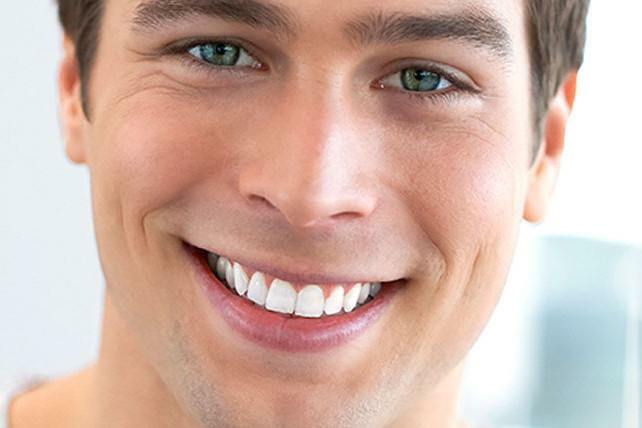 You can restore the condition of your smile with an artificial tooth or additional dental work. 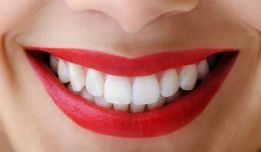 For example, with a chipped tooth, composite bonding or a dental crown may be used to restore the appearance of the tooth. A knocked-out tooth can also be considered an emergency dental situation. There is a chance that the tooth could be saved if proper treatment occurs quickly. When a tooth gets knocked out, you should first find the tooth. If the root is still attached to the tooth, do not to touch the root. Pick up the tooth by the other end and wash it in milk. Place the tooth in a container. But, you first need to coat it with your saliva. Carefully put the tooth in your mouth or use your tongue to coat the tooth. Another option is to soak the tooth in milk. In some situations, you may be able to place the tooth in the area where it was removed. You can attempt to set it back in the tooth socket. This can increase the chances of being able to save the tooth. Keep in mind that these steps are only necessary for permanent adult teeth. Baby teeth do not need to be saved and should never be placed back in your child’s mouth. Other dental emergencies include abscesses and dental infections. This refers to a type of infection that forms around the root or sometimes between the gums and the teeth. This infection can cause severe pain, along with redness and fever. You may also notice a bitter taste or additional pain when eating. It is important to address infections quickly. As an infection spreads, it can cause further damage. Additional pain can occur, in addition to the spread of bacteria. This can cause tooth decay and make the infection more difficult to get rid of. Infections can also occur after a surgery, though, this risk is minimal. If you experience swelling or constant pain, there may be an infection. A fever often accompanies these other symptoms. What Else Should You Know About Dental Emergencies? In the end, the main point is that immediate dental treatment increases the chances of a successful outcome. Whether you have a broken tooth, an infection, a missing tooth, or severe pain, emergency dental services could prevent additional pain or damage. It’s also important to know that you cannot protect yourself 100% against injury to your teeth. But, you can take precautions. When engaging in sports or rough activities, you should wear a mouth guard. This could protect against one of the most common causes of broken or chipped teeth – sports injuries. You should also avoid using your teeth to open packages. As mentioned, attempting to open a bottle or rip open a package using your teeth can result in unnecessary pressure, potentially causing a fracture or crack. If you’re worried about dental emergencies involving your children, remember that baby teeth don’t need to be saved. But, if the tooth is knocked out due to an injury, then you should schedule an appointment to have your dentist examine the gums and other teeth for any signs of damage or stress. In addition to protecting your teeth against injury, you should also remember to use proper dental hygiene. 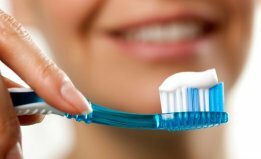 Continue brushing twice per day, floss regularly, and use mouthwash. In the event that you experience a dental emergency, you should seek treatment immediately. Our Melbourne CBD Dental Clinic is open seven days a week, with exclusively reserved emergency appointments, which allows our patients to be seen straight away. If you are in pain please call us today on (03) 9088 0257.